Apart from having the most delightful name in the history of forever, Theophilus G. Pinches was an expert on Ancient Babylon and Assyria. 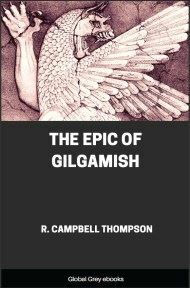 This short book is comprised of things like the story of creation, the principal gods of the Ancient Babylonians and Assyrians, and demons, exorcisms and ceremonies. 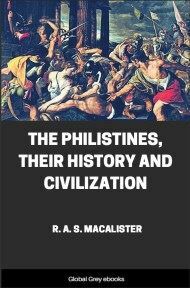 The religion of the Babylonians and Assyrians was the polytheistic faith professed by the peoples inhabiting the Tigris and Euphrates valleys from what may be regarded as the dawn of history until the Christian era began, or, at least, until the inhabitants were brought under the influence of Christianity. The chronological period covered may be roughly estimated at about 5000 years. The belief of the people, at the end of that time, being Babylonian heathenism leavened with Judaism, the country was probably ripe for the reception of the new faith. Christianity, however, by no means replaced the earlier polytheism, as is evidenced by the fact, that the worship of Nebo and the gods associated with him continued until the fourth century of the Christian era. 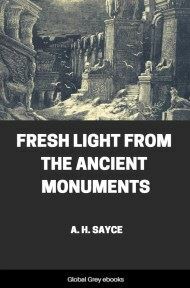 It was the faith of two distinct peoples—the Sumero-Akkadians, and the Assyro-Babylonians. 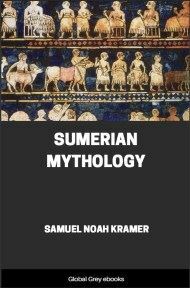 In what country it had its beginnings is unknown—it comes before us, even at the earliest period, as a faith already well-developed, and from that fact, as well as from the names of the numerous deities, it is clear that it began with the former race—the Sumero-Akkadians—who spoke a non-Semitic language largely affected by phonetic decay, and in which the grammatical forms had in certain cases become confused to such an extent that those who study it ask themselves whether the people who spoke it were able to understand each other without recourse to devices such as the "tones" to which the Chinese resort. With few exceptions, the names of the gods which the inscriptions reveal to us are all derived from this non-Semitic language, which furnishes us with satisfactory etymologies for such names as Merodach, Nergal, Sin, and the divinities mentioned in Berosus and Damascius, as well as those of hundreds of deities revealed to us by the tablets and slabs of Babylonia and Assyria. Outside the inscriptions of Babylonia and Assyria, there is but little bearing upon the religion of those countries, the most important fragment being the extracts from Berosus and Damascius referred to above. 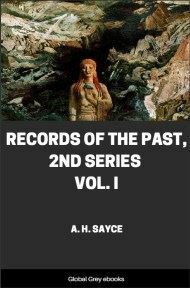 Among the Babylonian and Assyrian remains, however, we have an extensive and valuable mass of material, dating from the fourth or fifth millennium before Christ until the disappearance of the Babylonian system of writing about the beginning of the Christian era. The earlier inscriptions are mostly of the nature of records, and give information about the deities and the religion of the people in the course of descriptions of the building and rebuilding of temples, the making of offerings, the performance of ceremonies, etc. Purely religious inscriptions are found near the end of the third millennium before Christ, and occur in considerable numbers, either in the original Sumerian text, or in translations, or both, until about the third century before Christ. Among the more recent inscriptions—those from the library of the Assyrian king Aššur-bani-âpli and the later Babylonian temple archives,—there are many lists of deities, with numerous identifications with each other and with the heavenly bodies, and explanations of their natures. It is needless to say that all this material is of enormous value for the study of the religion of the Babylonians and Assyrians, and enables us to reconstruct at first hand their mythological system, and note the changes which took place in the course of their long national existence. Many interesting and entertaining legends illustrate and supplement the information given by the bilingual lists of gods, the bilingual incantations and hymns, and the references contained in the historical and other documents. A trilingual list of gods enables us also to recognise, in some cases, the dialectic forms of their names. The importance of the subject. Of equal antiquity with the religion of Egypt, that of Babylonia and Assyria possesses some marked differences as to its development. Beginning among the non-Semitic Sumero-Akkadian population, it maintained for a long time its uninterrupted development, affected mainly by influences from within, namely, the homogeneous local cults which acted and reacted upon each other. The religious systems of other nations did not greatly affect the development of the early non-Semitic religious system of Babylonia. A time at last came, however, when the influence of the Semitic inhabitants of Babylonia and Assyria was not to be gainsaid, and from that moment, the development of their religion took another turn. In all probably this augmentation of Semitic religious influence was due to the increased numbers of the Semitic population, and at the same period the Sumero-Akkadian language began to give way to the Semitic idiom which they spoke. When at last the Semitic Babylonian language came to be used for official documents, we find that, although the non-Semitic divine names are in the main preserved, a certain number of them have been displaced by the Semitic equivalent names, such as Šamaš for the sun-god, with Kittu and Mêšaru ("justice and righteousness") his attendants; Nabú ("the teacher" = Nebo) with his consort Tašmêtu ("the hearer"); Addu, Adad, or Dadu, and Rammanu, Ramimu, or Ragimu = Hadad or Rimmon ("the thunderer"); Bêl and Bêltu (Beltis = "the lord" and "the lady" /par excellence/), with some others of inferior rank. In place of the chief divinity of each state at the head of each separate pantheon, the tendency was to make Merodach, the god of the capital city Babylon, the head of the pantheon, and he seems to have been universally accepted in Babylonia, like Aššur in Assyria, about 2000 B.C. or earlier.